For the 17/18 season, Icelantic’s freeride “Nomad” line expands to the backcountry. The Nomad 105 Lite joins the Nomad 95, 105, 115, and 125. 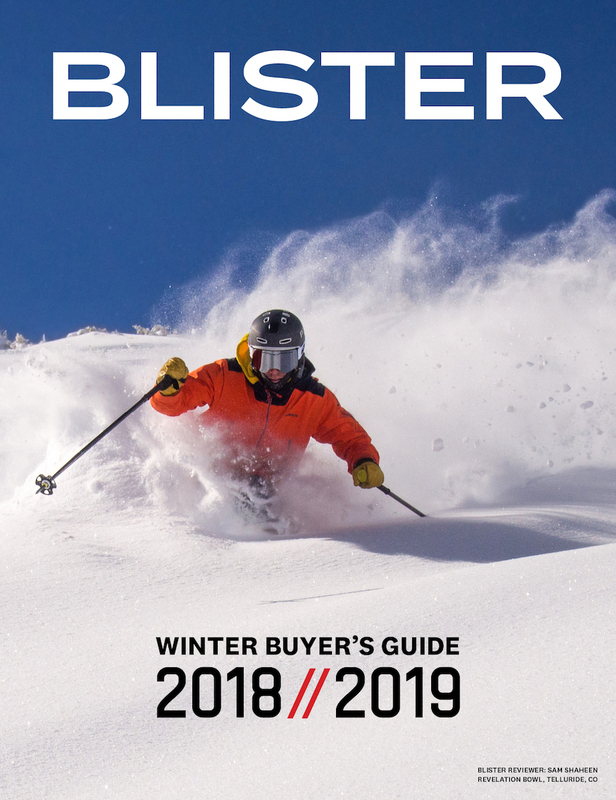 While the lighter 50/50 ski market has been growing a lot recently, most of these skis still tend to be oriented toward more traditional, directional skiers. The Nomad 105 Lite bucks this trend with its playful shape, twinned tail, and freeride intentions. That copy describes Icelantic’s intentions for the 105 Lite pretty well, to make a playful, capable all-mountain ski at a touring-friendly weight. The flex ramps up very smoothly and consistently from the tips and tails to the center of the ski. 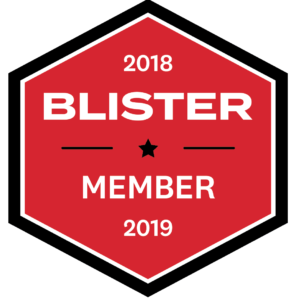 It’s stiffer than most of the more jibby skis I’m used to — it’s significantly stiffer throughout (and especially in the tips) than the Sego Bighorn 106, and stiffer than the Armada ARV 106. 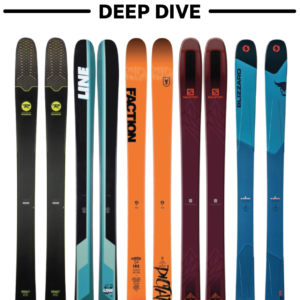 Icelantic only offers the Nomad 105 Lite in 10 cm size increments, which might put a fair number of skiers in a “Goldilocks” situation — those used to skiing 185-187 cm skis (like me) fall squarely between the 181 cm and 191 cm options. I ended up opting for the 191 cm version, and it does only measure a hair under 188 cm, so I’m not terribly worried about the size. But after I get some time on the ski I’ll be sure to comment more on the sizing issue, and whether I think it makes more sense to size up or size down if you find yourself torn between two sizes. Icelantic’s stated weight for the 191 cm Nomad 105 Lite is 1814 grams per ski, but we weighed our pair at 1953 & 1968 grams per ski. That’s not a small difference, but sub-2000 grams is still a reasonable weight for a 50/50 ski of this length. Icelantic gives their stated dimensions (140-105-130 mm) for the entire range of sizes of the Nomad 105 Lite, from 161 cm to 191 cm. The 191 cm Nomad 105 Lite is about 5 mm wider at every point (145-111-135 mm). In fact, that’s kind of exciting, especially on the longer length, a little more surface area makes sense, and there aren’t many jibby skis at this weight wider than 105-106 mm. Compared to the current crop of skis in this category, the Nomad 105 Lite has a very “untapered” looking tip and tail. That’s interesting since the long length, stiff flex, and lack of taper all seem to orient the Nomad 105 Lite more toward bigger, chargy skiers, which leads us to the mount point…. Icelantic puts two markings on the topsheet, “CC” (Core Center), and “BC” (Boot Center), and the “BC” mark is their recommended mount point. The “BC” mark is 9 cm behind the “CC” mark. However, when I actually measured the ski I found that the “CC” mark was 2 cm behind the actual center of one ski, and 1.5 cm behind the center of the other. Topsheets can slip while the ski is being pressed, so it’s a good idea for you or your shop to verify mount positions on any pair of skis before you get them mounted. Still at the recommended mount point of – 9 cm / 85.0 cm from the tail, we’re looking at a pretty traditional mount point, which was a little surprising to me given that the Nomad 105 Lite’s tagline is “PLAYFUL, SURFY, FUN, and LITE!” I was expecting a mount point more in line with the current crop of playful all-mountain skis, somewhere between -4 and -6 cm. 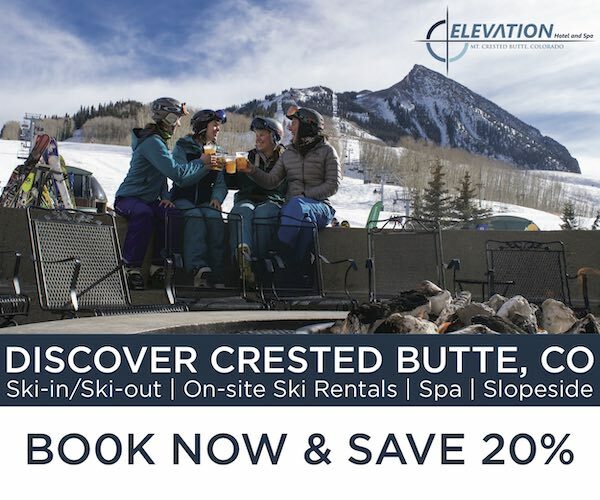 However, more traditional skiers, and bigger skiers will probably appreciate the more rearward mount, and there certainly are a number of surfy skis out there that have more traditional mount points (e.g., Liberty Origin 106, DPS Wailer 112 RP, etc.). The Nomad 105 Lite has a pretty standard rocker-camber-rocker profile. The tip rocker is very smooth and gradual, and runs just a little deeper than the tail rocker. 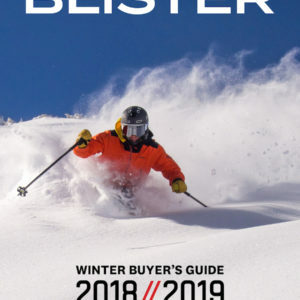 There’s nothing weird or crazy going on with this rocker profile; it looks like a very sensible design for a ski designed to perform in a variety of conditions. At first glance, Icelantic’s Nomad 105 Lite fills an interesting niche as a touring or 50/50 ski that’s oriented toward playful, jibby skiers. However, the 191 cm version, at least, seems like it could also work well for more traditional skiers looking for a slightly more playful ride, or bigger skiers looking for a playful touring option. We’re putting bindings on the Nomad 105 Lite now, and will be back with a full review as soon as we’ve gotten a feel for its performance on snow. Wasn’t sure about these skis until I came across your thorough review! Great stuff and thanks a lot for the time spent putting this together. Placed the order for the skis, but now need to figure out what bindings and boots will make for a good match with these. Was debating the Adrenalin 16 A/T bindings and have no idea on the boots yet. Any recommendations for either by chance? Same question here. And same thanks for the thorough review. I’m thinking about maybe getting these skis now and then waiting to mount the Salomon S/ Lab Shift bindings when they come out in the fall. And then choosing boots by fit and price or, if the Shifts accept my current old Alpine bindings, keeping those for a while and saving for a new, lighter pair. What do you think about boots and bindings? Thanks for this one, very interesting :-). Did you already try the new Icelantic Natural 101 (132-101-117, 3’159g @ 178cm) and do you plan to do a review? This ski is also available in @171cm & @185cm. Really hope you’ll review the Icelantic Natural 101 and compare them to this one and some others like the Black Diamond Helio 105 :-).